I've been interested in making my own soda for a while but despite a lot of research, I haven't gotten started. Why? For one, I'm not really into the Soda Stream route... but I'm also not sure how to really start outside of that. Lack of a clear "Here's how to get started" is part of the problem. Maybe I'll write that some day, when I am qualified to do it. Below I plan to keep track of various notes, resources, and products I find to help me get started. Maybe you will find them useful too. What's wrong with Soda Stream? Nothing! Really, their success speaks for itself. For someone who wants to do what they write on the box, it looks like a good place to start. But I do find their solution to be rather limiting. Some times, I just want to carbonate some juice... and Soda Stream machines aren't meant to do that. Also, I hope to take this hobby far enough that it would be far more cost effective to do it DIY (and it would be cooler, too). It only makes seltzer. You can't carbonate other drinks. Only works with seltzer+syrup recipes. It's best for small batches. You won't ever be doing gallons at a time. It is more expensive long term, unless you are pretty casual with making your own soda. Their proprietary connectors make it impossible to refill your co2 from cheaper sources. Purchasing it won't help you if you decide to go deeper down the rabbit hole in the future. Want to start kegging home made soda? Nothing about it will help with that. I feel like equipment is my biggest stumbling block, so let's start there. 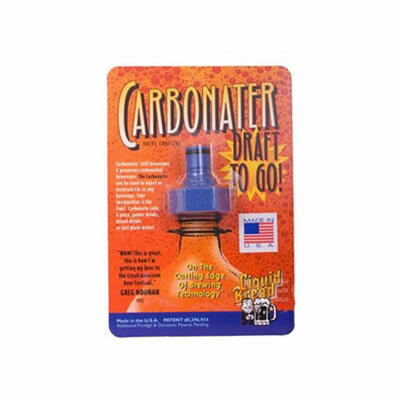 This cool gadget enables you to easily carbonate any bottle with a "normal" cap. Like any two litter bottle of soda you buy here in the USA. This could be built yourself sourced with parts from all over the web or local supply shops. But I'm not a very tools & hardware oriented guy, so I'll probably buy it from Keg Outlet. Their one of the few places I've found a complete setup that I could buy, fill with co2, and get started. This links to a kit which includes a 5lb co2 tank, however they have kits with no tank and smaller tanks as well. I'm not ready, nor do I have the space, to keg my own soda at this point. I do realize it isn't much more expensive, but I've put it on my own back burner for the time being. If I collect notes on this, I'll try to add them in the future. This was my first book, and still my favorite. It includes a great selection of recipes to try, and also includes a lot of useful background information, history, equipment information, and so on. It has recipes and techniques for working with syrup + soda water, brewing with yeast, and direct carbonation. 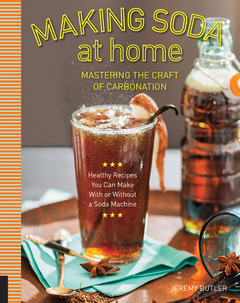 Many books focus on only one way of making soda! Not this one. In my opinion, it is a must buy for anyone getting started with making home made soda. There are other great books and websites out there. Please let me know if you find any good ones I should mention here. I'm told co2 is available from local homebrew suppliers, paint ball shops, fire extinguisher refiller, and some sporting good stores. I had some concerns about getting food grade co2 and online information is very mixed. I get the impression that paint ball and sporting goods co2 won't be good due to the possibility of dirty tanks, oil, and impurities. Make sure whatever you are having your tank filled, they have pure (99.9%) co2 which is not a mix or otherwise impure. Buying from a local homebrew shop seems to be the way to go! I found O'Shea Brewing Company who seems to handle all kinds of commercial and home brew services. They have food grade co2, equipment, home brewing supplies, kegs of beer, and so on. They seem like a good "template" of what to look for in a supplier near you. I haven't purchased from the Monterey Bay Spice Company yet, but they seem to have a huge variety of hard to find ingredients and spices which will be useful for soda making. Not sure where to get gum arabic or citric acid? They have it!.. and much more. 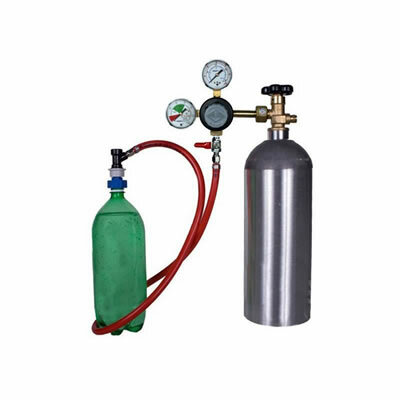 I've mentioned Keg Outlet several times already, but I would remiss to point out the large selection of equipment they carry... useful making your own soda, brewing your own beer, or cold brewing coffee. On that last note, they seem to have a sister site, Cold Brew Avenue which seems more oriented to Cold brewing coffee and tea. I am NOT affiliated with, compensated by, or otherwise related to, any company, person, book, or website mentioned on this page. I am sharing these resources because I think they will be useful and because I want to keep track of them myself. If you feel I've over sold some entity or product, it's because I really like them/it. If you think my advice is bad, wrong or incomplete, ignore it or please let me know! 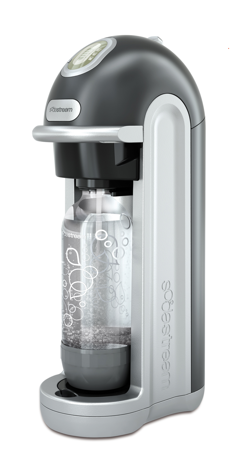 Soda Stream image taken from their media kit, used without explicit permission. Keg Outlet product images used with permission. Making Soda at Home cover image used with permission. We recently ran into a strange situation where cron jobs configured within cPanel didn't work. They wouldn't send email. They wouldn't run scripts. They didn't do anything. Here's what fixed it.